The Winnipeg Jets prospect pool got significantly deeper following the 2013 NHL draft. With a couple highly talented players already in the system, Kevin Cheveldayoff selected defenseman Josh Morrissey, center Nicolas Petan and goaltender Eric Comrie in the first two rounds. There is plenty for Jets fans to be excited about heading into the 2013 campaign. And, looking further down the road, the team should only get better in 2014 and 2015. With that said, here’s a closer look at five of Winnipeg’s most valuable prospects. Trouba’s game took a giant leap forward this past year. So much so that he has passed Mark Scheifele as the team’s best prospect without even stepping foot in the NHL. The 19-year-old blueliner dominated with both the University of Michigan and Team USA last season. He scored 12 goals and 17 assists for 29 points in 37 games as a Wolverine. He was named to the All-CCHA Rookie Team, All-CCHA First Team and earned Best Offensive Defenseman honours. At the World Juniors he had four goals and five assists for nine points in seven games, to help the U.S. capture gold. Trouba was also selected to the tournament All-Star team and named Best Defenseman. At 6’2”, 187 pounds Trouba has plenty of upside and no crucial weaknesses. He has great speed, a blistering slap shot, tremendous offensive instincts and the ability to make clean, crushing hits. He should be a regular in Winnipeg’s lineup in the very near future. Fans and the organization have been waiting for Scheifele to step up and prove his worth. Well, this may be the year. 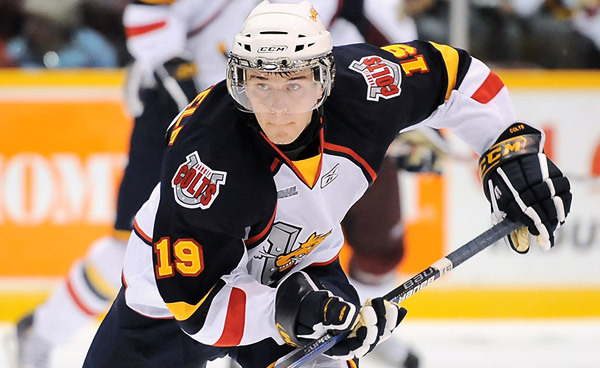 The 20-year-old Kitchener, Ontario native had a brilliant 2013 season with the Barrie Colts. Scheifele notched 39 goals and 40 assists for 79 points in just 45 games, by far the best totals of his career. He also had a good showing at the 2013 World Juniors, recording eight points in six games. However, even with Scheifele and a number of other returnees, Team Canada failed to improve on their bronze medal performance in 2012, finishing fourth. His skating seems to have improved and he continues to display great hockey sense. Scheifele also has good hands, a strong shot and decent defensive abilities for a center. Scheifele is listed at 6’2”, 184 pounds, but likely bulked up in the offseason and should arrive at training camp is his best shape yet. Will the third time be the charm? Let’s hope. Morrissey has the potential be a top four defenseman with the Jets, but just like with Scheifele, fans will have to be patient. Morrissey was taken 13th overall in the 2013 draft. At 18 years old, he stands 6’0” and weighs 185 pounds. He still has plenty of work to do to improve his skating and defensive abilities, but most importantly, Morrissey needs to add a few pounds to his frame. He is set to enter his third full season with the WHL’s Prince Albert Raiders, where he has accumulated 25 goals and 60 assists for 85 points in 143 games. Morrissey has some international experience as well, having won gold at both the Ivan Hilinka Memorial Tournament in 2012 and the World Under 18 Championship in 2013. Morrissey is similar to Trouba in many ways, as he has great offensive abilities. However, he will need a few more years to develop before making the leap to Winnipeg, where he should be a key contributor on the power play. Nicolas Petan was selected by the Jets in the second round, 43th overall in the 2013 NHL draft. The 18-year-old center tore up the WHL last season, finishing in a tie for first in scoring with teammate Brendan Leipsic. 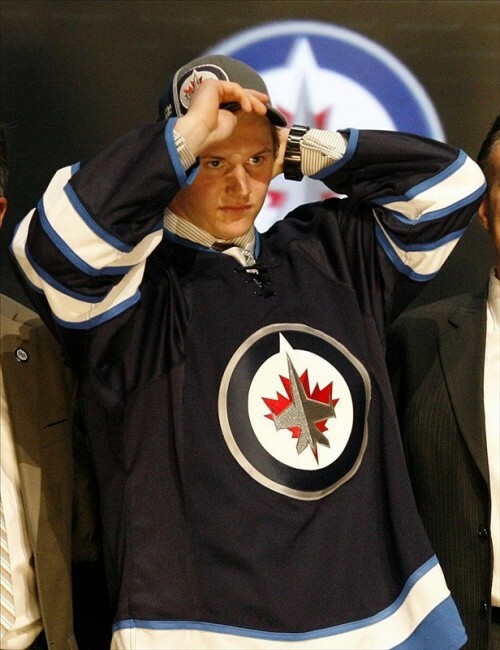 Petan registered 46 goals and a league best 74 assists for 120 points in 71 games. Clearly, he has superior offensive skill. Great hands, speed and vision allow Petan to make quick decisions with the puck to create scoring chances. So what’s holding him back? His size. At 5’9” 166 pounds, Petan has a lot of work to do before he can make the jump to the much more physically demanding NHL or even the AHL. That said, he’s got plenty of time to develop and should once again be among the top scorers in the CHL in 2014. Last, but certainly not least is the first winger of the bunch: Adam Lowry. The Jets selected him in the third round, 67th overall in 2011. While he’s still a few years from seeing regular time in the NHL, Lowry continues to make improvements each year with the WHL’s Swift Current Broncos. After two average seasons in 2010 and 2011, Lowry has averaged over a point-per-game in back-to-back seasons. The 20-year-old has decent hands, a good shot and can play effectively in the defensive zone. However, his best asset is his size. At 6’5”, 201 pounds Lowry is easily the biggest of Winnipeg’s top prospects. The only major drawback with Lowry is his skating ability. He needs to work to become a faster, more agile skater, before he can make the leap to Winnipeg. The NHL regular season schedule was released on Friday. Check out our partners at TiqIQ for the best deals on Winnipeg Jets tickets for all 2013-14 games.